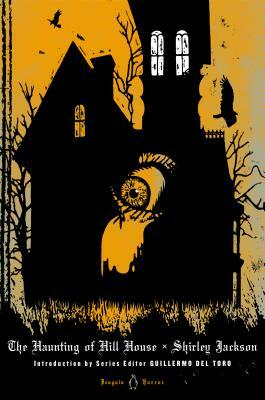 This is my all-time favorite haunted house book. I went to a book club meeting featuring this book and half the group found it "not scary" and the other half seemed somewhat mystified by the story. If "scary" to you means crazed psychopaths leaping out of the dark with meat cleavers then no, it is not scary. A house that is itself psychopathic provides maximum creep for me. Author Jackson builds this creep factor through the personal world of the central character with all the required things that go bump in the night. My copy is now so tattered I had to keep it in a plastic bag and am now buying a new copy. This is a tedious story about unlikable people, not scary at all. Read 'The Lottery' instead. The book is a good read but not as scary as people say it was. I liked the book much better than any of the movie versions !! Small book, goes too quickly though. The story is told from Eleanor's perspective and is very true to human nature. She alternately has very warm and cold feelings for the other guests. Added to this wonderful character study is the effect of Hill House on the company. A creepy place to start with it becomes more and more a seductive and dangerous member of the cast. A sprinkling of humor adds another facet of realism and helps to keep the mounting tension flowing, rather than being a distraction. This is a brilliantly written novel. I have seen the 1999 movie which as OK and plan to see the 1963 version soon. But, for me this story is better experienced by reading the novel. It is rich, complex, tense, thrilling and spooky. This doesn't read like a book from 1959, it is fresh and real and one of the best scary stories I have ever read.